NYC PRENUP LAWYERS - Experienced & Reliable Prenuptial Agreement Lawyers. If you are thinking of engaging in the legal act of marriage you should seriously consider discussing and entering into a prenuptial agreement or postnuptial agreement with your partner. As one of New York’s leading matrimonial law firms, our attorneys have the required knowledge and experience to protect you. We are ready to help you make the right decisions and guide you through the process of discussing and entering into a valid and enforceable marital agreement. The main reason why someone would want a marital agreement is to protect yourself and your assets from uncertainty about the future of any marriage. Marital agreements can be viewed as a purchase of “marriage insurance policy” designed to safeguard in the event there is a divorce or separation. These agreements also protect against the financial and emotional pain associated with prolonged and contentious divorce proceedings. Partners that wish to predetermine their rights and responsibilities to each other before the marriage is consummated will enter into prenuptial agreement. Couples who have already legally wed but still wish to establish an agreement in case the marriage later ends can do so through a postnuptial agreement. Both forms allow you to determine in advance how property and assets will be divided, how and if spousal support will be awarded, what will happen to your estate, and many other important possible terms and conditions upon termination of your marital relationship. A prenup agreement is a contract between spouses that allows the parties to decide and agree on the fate of their present and future assets should the marriage come to an end. If no valid marital agreement is present at the time a marriage comes to an end, spouses are exposed to having the courts apply present law and precedent to their unique circumstances and reaching an undesirable outcome. There is a also a significant amount of financial and emotional risk associated with marriages that do not have a prenup. For these reasons, it is important that potential spouses discuss obtaining a premarital contract and seek advice from experienced prenup lawyers in NY. A postnuptial agreement is the same as a prenuptial agreement accept it is negotiated and executed after the marriage has already been legally consummated. If you intend to get married, or are already married, it is highly recommended that you execute a marital agreement. There are many reasons to execute a prenuptial or postnuptial agreement. These marital contracts help spouses insure against the undesirable consequences, both financial and emotional, of having a prolonged and complicated divorce or separation process. Our prenuptial agreement lawyers are ready to help you make the right decisions. Couples decide to draft marital agreements to better predict and decide many financial and family issues in the event that a divorce takes place. In the absence of a marital agreement, the decisions about couple’s assets will be dictated by state laws and precedent cases that don’t necessarily serve the couple’s best interests. Having experienced NYC divorce attorneys and family lawyers draft and help you negotiate a prenuptial agreement or postnuptial agreement can serve to protect the your rights and assets from uncertainty of potential legal proceedings. 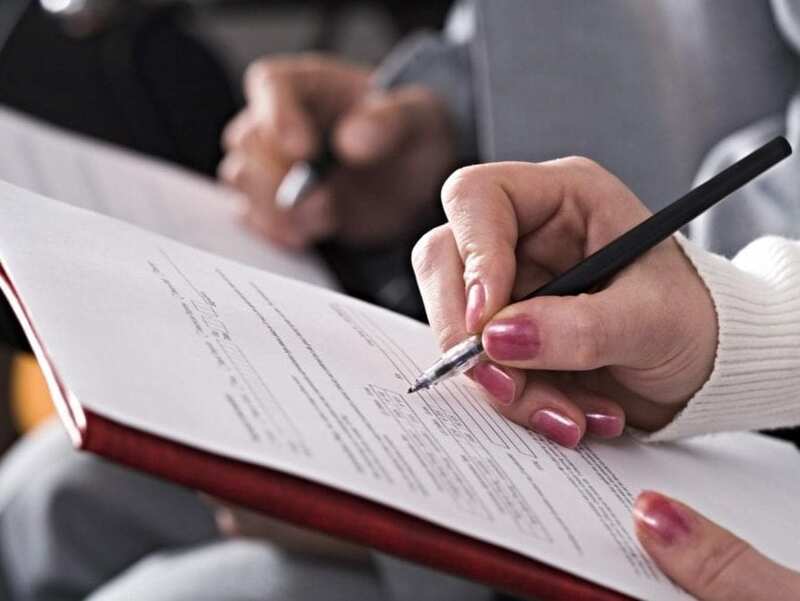 Even if you have already drafted and signed a prenup or postnuptial agreement with your spouse, consider having it reviewed by experienced NYC divorce lawyers and family attorneys. Often, circumstances of a marriage change over time, and the original marriage agreement may not properly reflect the desires of the spouses. You will need to keep your marital agreement legally valid, and should consider updating it periodically especially when a significant financial or emotional change occurs in the marriage. Please feel free to contact our prenuptial agreement lawyers for further assistance. The agreements must be in writing and must be properly executed by the parties. The agreements also must be drafted in such a way that they are not set aside by the court at the time of divorce as unconscionable, unfair or against public policy. An agreement is likely to be invalid on the basis of fraud if a party deliberately misstates financial conditions or hides assets from the other party at the time of execution. Also, if one spouse places excessive pressure on the other to sign the agreement, a court also might find that the prenup or postnup was signed under duress and declare the agreement to be invalid. Experienced NYC prenup lawyers can help you and guide you to make sure your marital contract is valid and enforceable. In New York, there is no specific time at which marital agreements must be signed. The courts will recognizes marital agreement made either before marriage (prenup) or during the marriage (postnup). It is best to enter a marital contract well before the civil marriage ceremony to show that each party has given the term due consideration and had ample time to review the agreement with their matrimonial attorney. Sometimes, mostly if the parties already have children. Courts are not bound by the terms of a premarital agreements regarding child custody or support because courts do not want parties to bargain away rights of children before they are born. Courts also consider the needs of children at the time divorce happens as those needs drastically change throughout their lives. Our NYC prenup lawyers will help you understand your rights and responsibilities related to children.